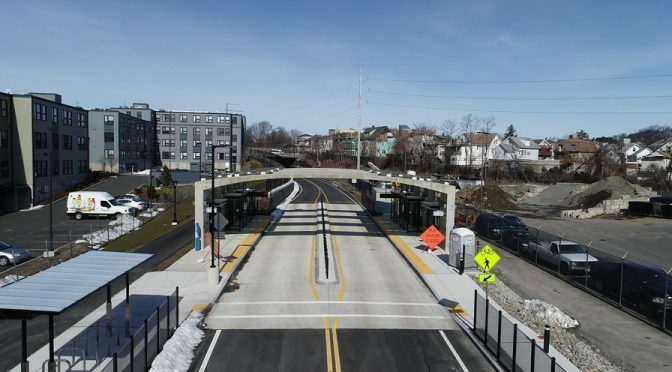 McCourt was recently awarded Best Airport / Transit Project by Engineering News-Record (ENR) New England for its work on the Silver Line Gateway Project. This dedicated bus lane extension of the Silverline was opened to public use on April 21st. The Patriot Ledger notes McCourt’s role in building Silver Line 3 providing a dedicated bus lane and four (4) new bus stations in Chelsea. 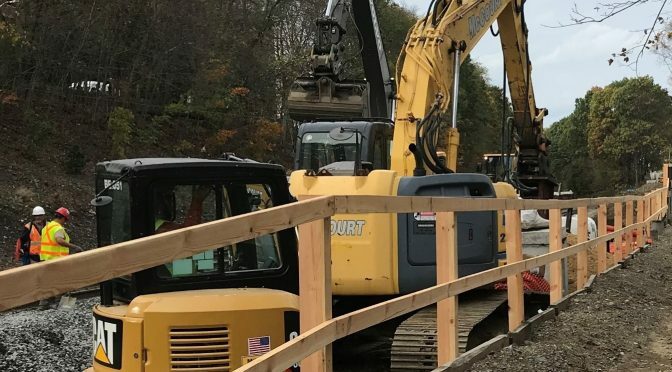 This construction will allow buses to run nearly every ten minutes during peak hours and is expected to carry nine thousand (9,000) passengers per day. 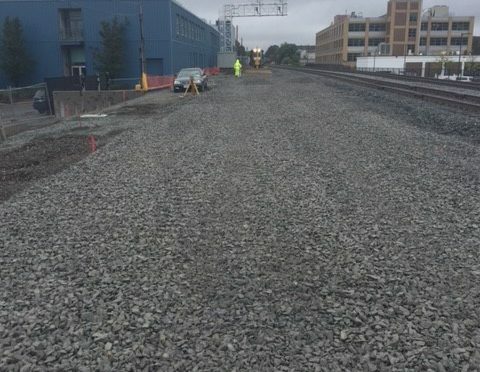 In advance of the construction of the Green Line Extension, McCourt Construction crews are removing track, installing sub drains, grading for new track bed and installing new tracks in Somerville, MA. 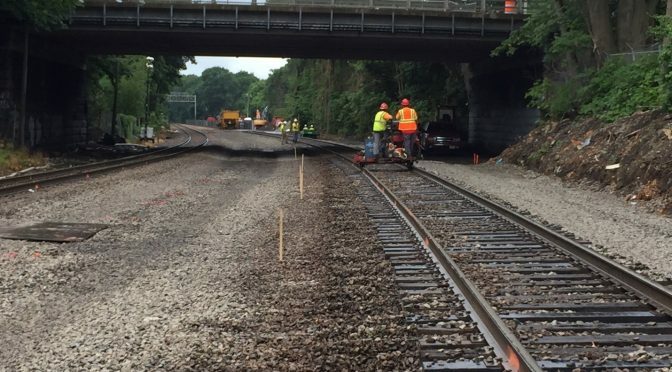 McCourt Construction is responsible for grading the project area and installing ballast mats next to the existing track for the new MBTA track. McCourt Construction is also installing a 4” x 14-way electrical duct bank, drainage pipe, as well as drain manholes next to the track. McCourt completed installation of the Wall C parapet barriers and moment slab off 95 NB. This precast barrier frames the Share Use Path from the Pine Hill Trial Head to the NB Whittier Bridge SUP. Central Square in East Boston is starting to take on its final appearance. In June, we saw the granite ellipse wall completed as well as many of the planting installed. Final curb sidewalk and paving will continue into late July.